Spain 1982 saw the number of entrants increased to 24 and two round robin stages used to determine the semi-finalists. Brazil, with the likes of Zico, Eder and Socrates in full flow, caught the eye in the early stages, while Italy limped into the second round on the back of three highly uninspiring draws. Suddenly the Italians -- and recalled striker Paolo Rossi -- sparked to life, beating Brazil 3-2 to reach the semi-finals and then defeating Poland 2-0 to reach the final. West Germany, solid but unspectacular, edged past the hosts Spain and England into the semi-finals, where they faced France in a contest that left a bitter taste. The match, which finished 3-3 after extra-time, was marred by a diabolical challenge from West Germany keeper Harald Schumacher on Patrick Battiston. Incredibly Schumacher stayed on the pitch, and proceeded to make the saves that earned his side a 5-4 win in the penalty shootout. Rossi's predatory skills were too much for West Germany in the final, however. He opened the scoring in the second half, and the Italians romped to a 3-1 victory, matching Brazil's achievement of winning three World Cups. An attacking midfielder with breathtaking skill and a deadly free-kick who earned the nickname "The White Pele". Scored over 650 goals for Brazilian club side Flamengo, and with a free-kick on his international debut against Uruguay, but was unlucky in the three World Cups he played in. Injury and being played out of position meant he made only fitful appearances in Argentina in 1978, though he fared much better four years later in Spain. Aged 33 and not fully fit, he returned for the 1986 finals in Mexico, principally as a super-sub. In a thrilling quarter-final against France he came off the bench only to miss a penalty. The match finished 1-1, and though he scored in the shootout, Brazil lost it 4-3. Voted South American Footballer of the Year in 1977, '81 and '82 and finished his career with 66 goals in 88 internationals. Italy's hero of 1982 almost missed out on the tournament altogether. Caught up in a bribery scandal, he was banned for three years in 1980 but after continually protesting his innocence was cleared to play. A slight and sprightly winger who converted to centre-forward, Rossi had an uncanny ability to be in the right place at the right time. Exploded onto the stage of the 1982 finals with a hat-trick in the 3-2 defeat of Brazil. In the semi-finals he scored both goals as Italy beat Poland 2-0 and then scored the vital first goal in the final against West Germany. Finished top scorer with six goals. Was also a member of the Italy side that finished fourth in Argentina in 1978. His international goal tally was 20 in 48 appearances. Voted European Footballer of the Year in 1982 and won European Cup with Juventus in the tragic 1985 final at Heysel. Irresistible attacking midfielder who was the inspiration behind the success of France in the 1980s. An expert from dead-ball situations, he had pace off the mark and outstanding skill, scoring more goals -- 41 -- in French football history than any other player. In Spain 1982 he helped France to the semi-finals, where a thrilling match with West Germany ended 3-3. After the finals he joined Juventus from St. Etienne, whom he had inspired to the summit of French football and a European Cup final. Was the outstanding figure as France romped to victory in the 1984 European Championships on home soil. 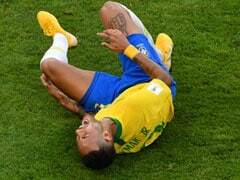 Two years later helped his country to the World Cup semi-finals, after a thrilling victory over Brazil in the quarter-finals despite missing a penalty in the shootout. Scored the winning penalty in Juventus' 1985 European Cup win over Liverpool at Heysel. Notched 68 goals in 147 matches for the Italian club. Retired at 32, and coached France's national team 1988-92 without great success but played a key role in bringing the 1998 World Cup to France and is now president of UEFA. - Some 107 countries were invited to take part in qualifying -- 306 matches and 797 goals later the record 24 finalists were known. In the finals, two round robin group stages were used to determine the semi-finals. 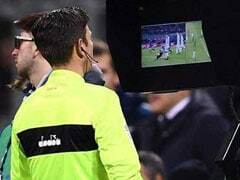 - In the event of a draw in the final stages, a penalty shootout would be the deciding factor. This was the first time this format was used. - To accommodate the 52 games to be played 14 venues were used: Bilbao, Valladolid, Vigo, Coruna, Barcelona, Gijon, Oviedo, Elche, Alicante, Valencia, Zaragoza, Malaga, Seville and Madrid. 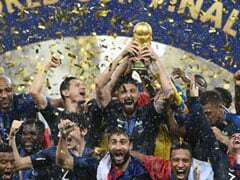 - For the first time Africa had two nations in the finals, Algeria and Cameroon. Kuwait from Asia were making their debut, as were New Zealand from Oceania and Honduras from CONCACAF. - For the first time in 22 years, the holders were beaten in their opening game, Belgium gaining a 1-0 victory over Argentina. - In Group Three Hungary set a new World Cup finals scoring record by beating El Salvador 10-1. - England made a fast start, beating France 3-1 in Bilbao. Bryan Robson scored after 27 seconds, a new World Cup record. - Making his debut in Northern Ireland's 0-0 draw with Yugoslavia was Norman Whiteside, who at 17 years and 42 days old broke Pele's record to become the youngest player to appear in the World Cup finals. - Algeria shocked West Germany 2-1 in the first round, but were eliminated on goal difference after the Germans beat Austria 1-0 in a farcical match that allowed them both to qualify for the next round. 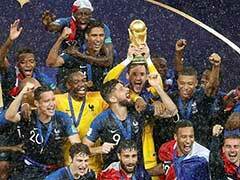 - France's first round match against Kuwait was also drenched in controversy. The French won 4-1 but had four other goals disallowed by the Soviet referee. - Italy's 3-1 victory over West Germany in the final meant they became the first European team to win the trophy three times, so equalling Brazil's hat-trick. It was also a personal triumph for Italy's Dino Zoff, who at 40 was the oldest player and captain of a winning side.